Like the crucifixion and resurrection of JESUS CHRIST, the EASTER bunny is a historic symbol of this rebirth weekend. Legend states that on EASTER Sunday morning JESUS returned to his favorite garden where he was greeted first by a rabbit, thus rabbits became a symbol of hope, patience and renewed faith. 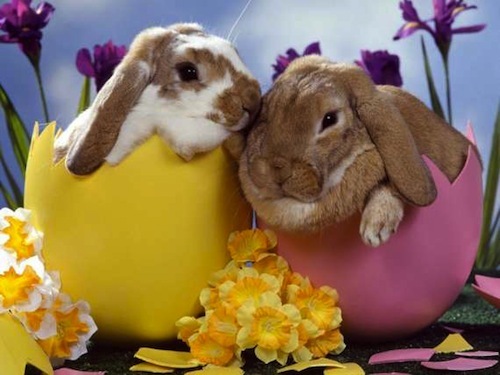 Wishing You A Lovely Easter!